Gil McGillicuddy is a WWII vet with dementia. Robert, his oldest son, is a blogger on the internet who cares for his dad as Gil takes the long slide into the land of forgetfulness. When Robert’s oldest daughter becomes pregnant and the baby’s father turns to meth and violent behavior, Robert convinces her and her preteen daughter to move into his home a thousand miles away. Robert’s radical blogging continues along with his efforts to help his family. His history of radicalism stretches back to his antiwar days at Berkeley in the sixties. In those days, he was responsible for outing an FBI informant in the midst of his antiwar group. The way this came down destroyed the informant’s future plans. Now, over 40 years later, the man, Fedder, works as a floor manager for a security firm that is contracted out to the NSA to find radical bloggers. 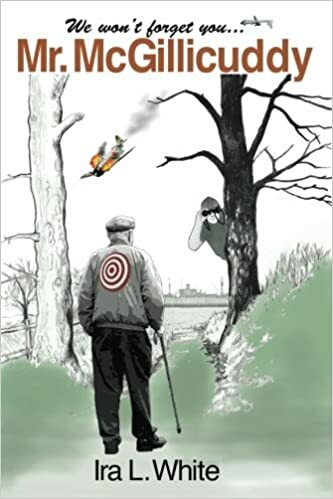 “Revenge is a dish best served cold, very cold.” Fedder quietly stalks his unwary quarry with the intent of getting his revenge while Robert continues to deal with the problems of his family including the worsening of Gil’s dementia. The book starts with the daily life of old Mr. McGillicuddy. We are sucked into his life, his reminiscing about his late wife, his looking forward to Sunday breakfasts and then grocery shopping with his son, and all the other normal stuff. As you start getting comfortable, little things start cropping up. Old Mr. McGillicuddy starts seeing a man with a dog late at night. His son’s blog starts getting more attention, and then before you know it, the book’s genre turns into a political thriller. Unlike many thrillers, you will not find action in this book, instead, the author makes excellent use of characters. She uses excellent characterizations, she makes you so invested in each of the characters and their relationships with each other that you find yourself reading faster to know what is going to happen next. As readers we find ourselves sympathizing with Robert McGillicuddy, who is a sole caretaker of his old father, his pregnant daughter, and her daughter. We find him struggling emotionally and financially. We see how his blogging impacts his life and the lives of people around him. The pace of the story is slow. But it is perfect for the kind of story that the author is weaving. In fact, the slow pace helps build the thrill. Each character is crafted wonderfully, and their relationship with each other makes this an extremely wonderful read. I rate this book a perfect 4 out of 4.